Our shoulder joint is a leading commander for our upper body movements. Composed of 4 ligaments (tissues that connects bones to other bones) that stabilize the shoulder, injury to the area is quite common. Repetitive motions, especially overhead movements, are a major culprit. Baseball and tennis athletes as well as carpenters and painters, are all common victims. Think of a baseball pitcher who over and over raises their arm to throw the strike. Think of a painter who reaches up to paint and brushes strokes. The same goes for a carpenter reaching up to place dry wall or fix part of the ceiling. It isn’t that one particular job that created damage, rather it was the years of that same task he or she has mastered and is now highly in demand for. An injury to this area doesn’t have to be an explosive tear, rather it can be an accumulation of wear and tear over time. Over time, those 4 ligaments can degenerate. That is why as we age, we become more susceptible. It goes without saying that most times it is our dominant arm that gets hurt. Injury to the area might at first be dull and aggravated at night when you sleep on that particular side. Then daily living tasks start to be bothersome. Brushing your hair or putting a shirt on can be painful. Then the arm just feels weak. Ignoring the pain can eventually lead to mobility loss. The shoulder needs to be rested to rebuild the tissue. The catch is that the shoulder shouldn’t be kept in an immobilized position because that can lead to a frozen shoulder due to the joint becoming enclosed. That is not easy to experience considering many of our arm movements are the result of the rotator cuff’s primary and secondary role in our motions. Seeking medical attention is important when symptoms arise. Pain is your body speaking to you that something is not right. A doctor might perform an x-ray, ultrasound, or MRI (magnetic resonance imaging) to determine the injury and next steps. Being proactive and taking preventative measures is important when you live a life that involves high rotator cuff usage. Strength training can help build the joint, but this means working all angles of the joint both front and back. Stretching is also recommended. Ice and rest are the first steps to recovery. A steroid injection can be used as a temporary measure to subside pain. Physical therapy can be an initial approach to help the area. These specialists will know how to guide you to target the area to improve range of motion and strength. PA is useful both pre and post-surgery. There are few different versions of surgery. Arthroscopic repair is when the doctor inserts a tiny camera and attached the torn tendons. An open surgery is a more invasive cut to repair the tear. Doctors can even go in and replace one torn tendon with another. Total replacement can also be done. Certain body parts seem to come with an expiration date and that dominant arm’s rotator cuff puts up with quite a bit that we do in our lives. Over and over, it stabilizes our movements and keeps the shoulder intact. We aren’t machines, but we are built to last pretty long. 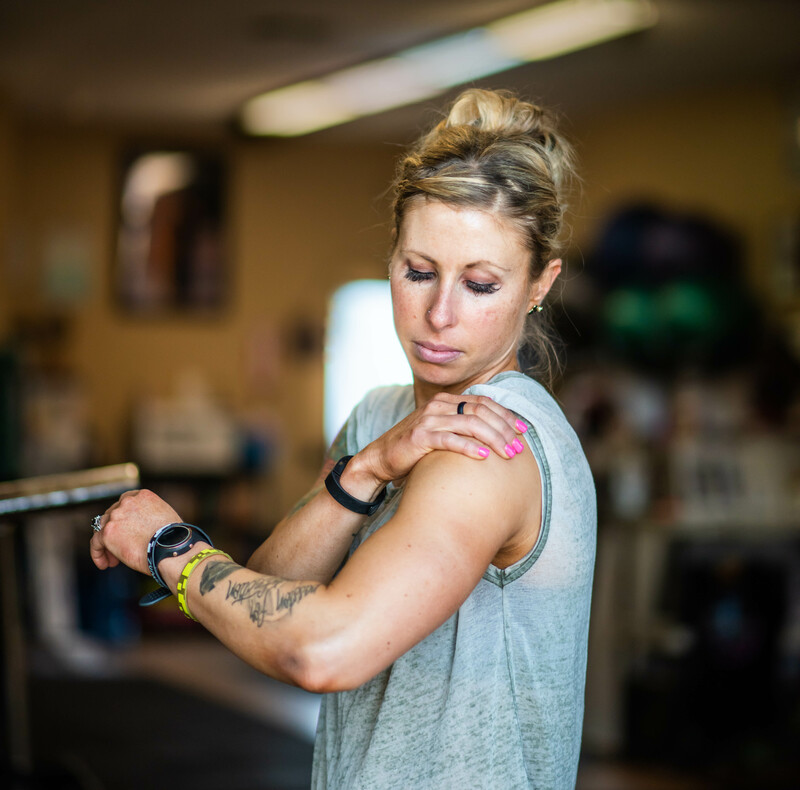 The Lifestyle of the FIT & Healthy knows to be mindful of overuse, be proactive to prevent muscle imbalances that can cause injury, and when their shoulder aches, gives it the attention it is asking you for. Thanks for sharing this post and rotator cuff injury is very common these days. I have gone through this pain and it is not a pleasant experience. I have tried a lot of medications and home remedies, but nothing works. Then I tried Malin Method and it worked great for me!